The above ad ran in small-publisher comic books in the early 1950s, when TV was the new amazing thing. 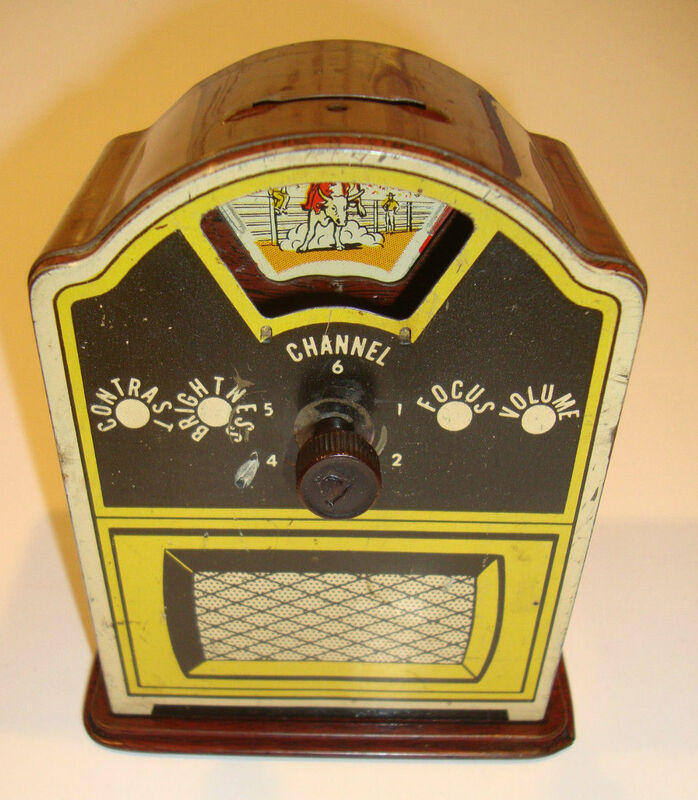 After decades of getting their mass-market entertainment from movies and radio, TV was just astonishing to most Americans. The shows broadcast in those days were primitive by our standards, but hey; the novelty of the medium trumped finesse in execution. 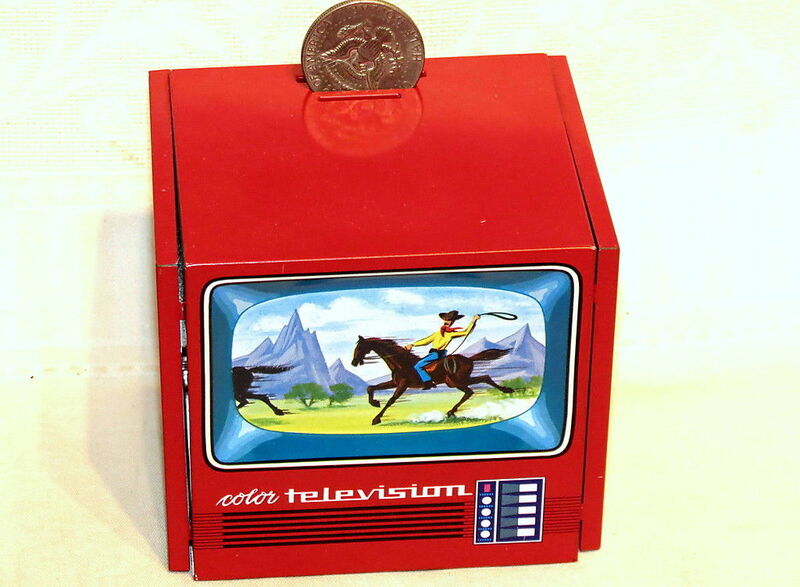 We’ll save that discussion for later, as today we’re examining coin banks with a television motif. 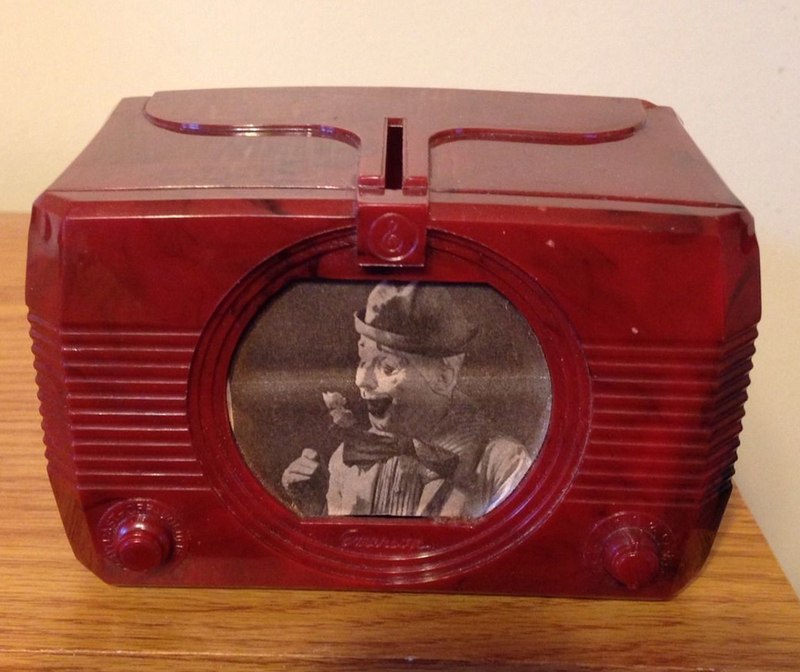 The idea was that your friends and relatives would be so smitten by the TV bank that they couldn’t resist dropping their money into it, thus fronting you the money for your new bike or pony or, if you were a smart kid, shares of IBM or Polaroid stock. I love the copy in this ad. The art is so-so, from the Bazooka Joe school of kid gangs with funny hats and funnier hair. The text, though, is something wonderful. LIGHTS UP! LIKE BIGGEST, COSTLIEST TELEVISION SETS! Well, true, if lighting up is what you look to a television set for. 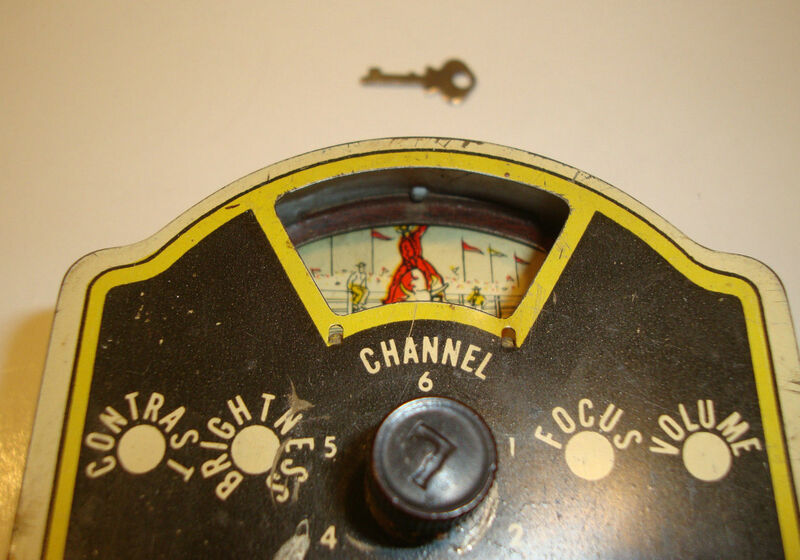 The heart of a TV is a large and educated light bulb. Most people, though, feel there’s more to the equation. HITS EVERY TELEVISION HIGH . . . FIGHTS AND ALL! Boxing was a major draw in the early days of TV. It moved, you see. 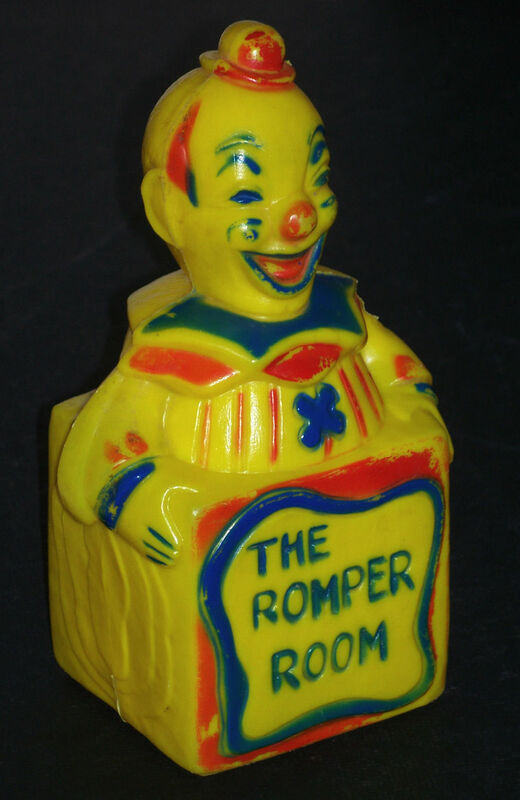 THRILLS YOU AND YOUR FRIENDS POP-EYED! I can’t imagine how the copywriter came up with this one. I don’t think I’d want to be thrilled pop-eyed; it sounds like it might hurt. IT’S A HONEY IN EVERY DETAIL! I have to agree, I suppose. • a circus clown with his trick dog! The six exciting pictures pretty much cover what TV was all about in those days! A nice-looking unit. I guess it would hold a lot of coins. 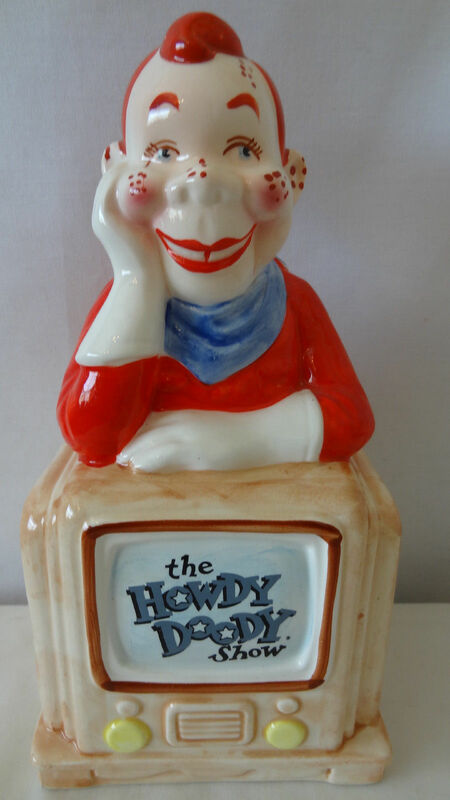 This example is from a Danish eBay auction. The bank has just one scene: a speeding cowboy (see the velocity lines coming off the legs of his horse?) chasing and attempting to rope another horse. Note that there are three slots on this one for the various sized coins that might find their way into your TV bank. Not sure that is a compelling feature; one big slot would work for all the coins and they’re going to get jumbled and commingled once they go through the slot anyway. 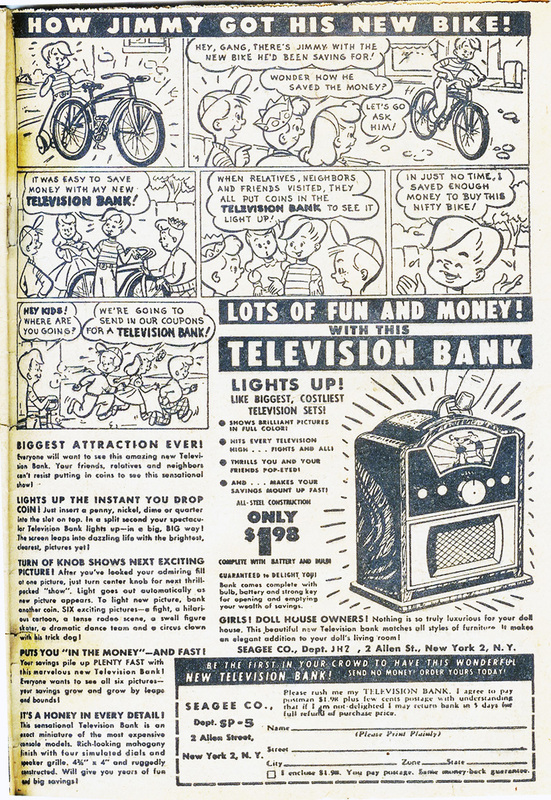 So find yourself a TV bank and start saving up those coins; you know you want to impress the gang with your new bike!! !